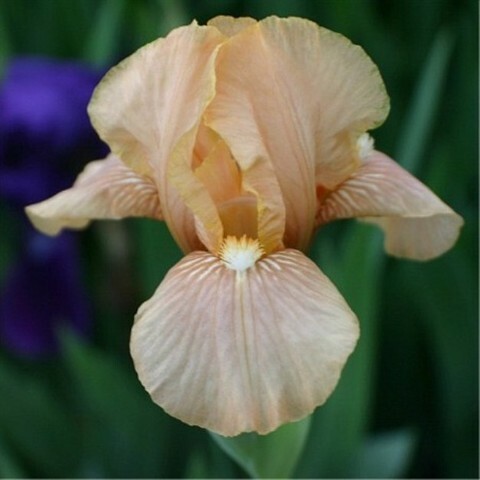 'Claire Doodle' (Nearpass 2000) reblooms in zone 5, 6, 7. 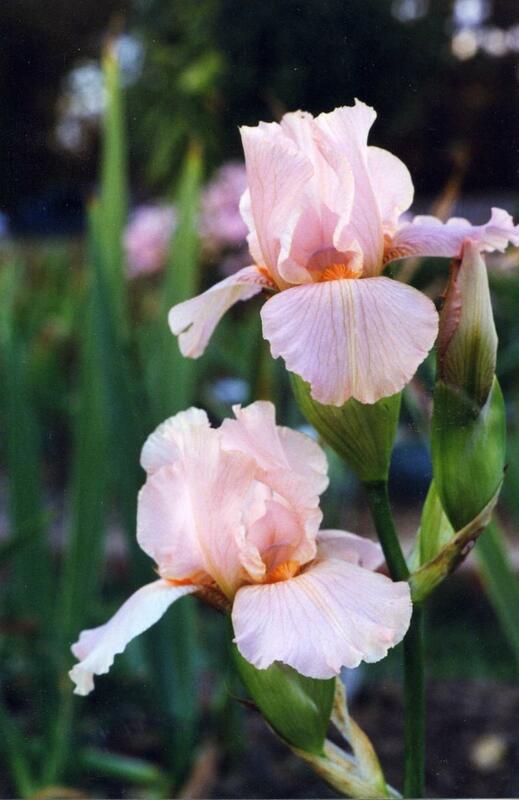 It makes great seedlings crossed with arilbreds. 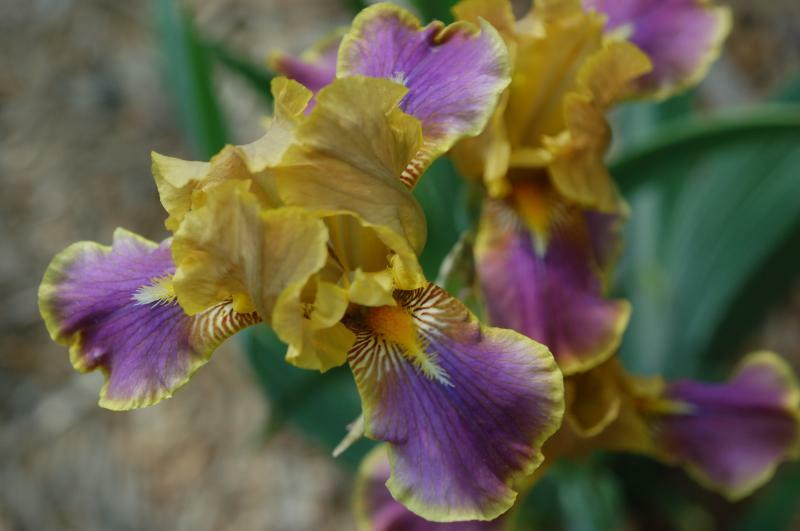 A great grower and good rebloomer. 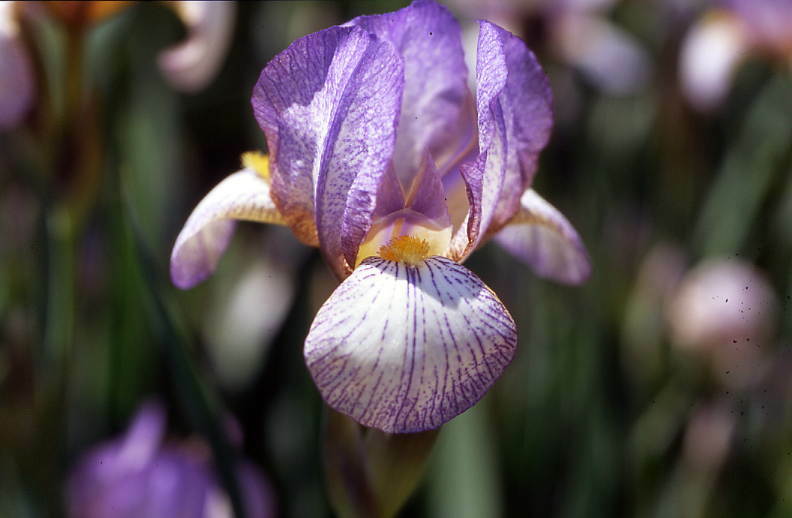 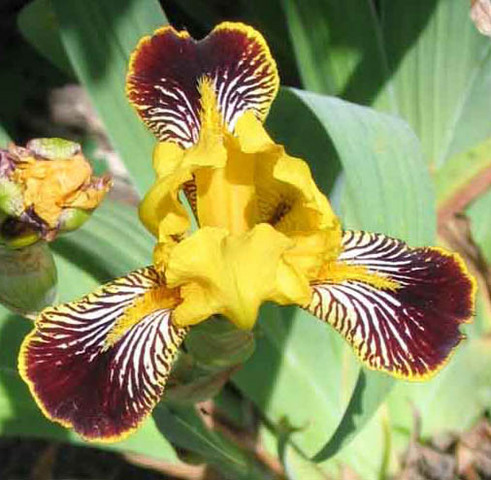 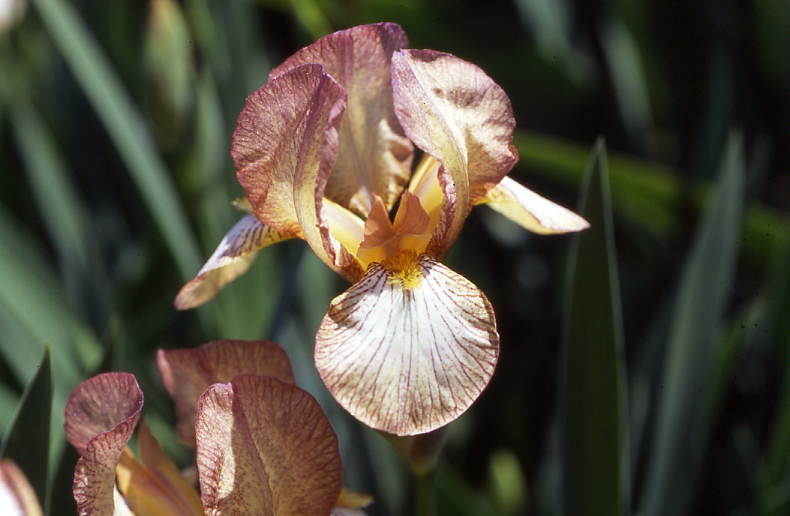 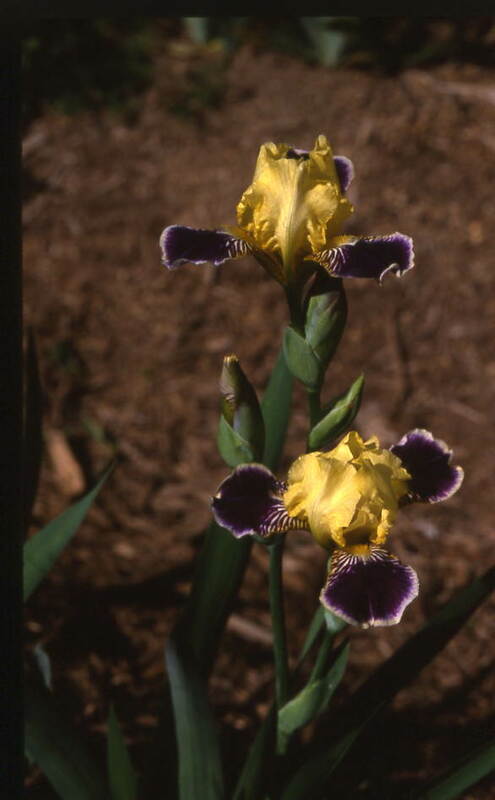 Miniature tall bearded irises bloom at the same time as the tall bearded, but they have smaller flowers and slender stalks. 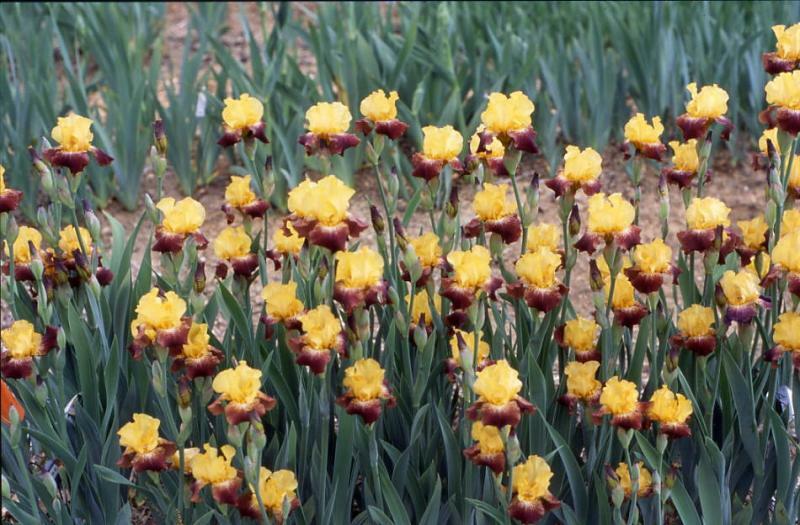 Usually, they have no scent so they are great for indoor arrangements. 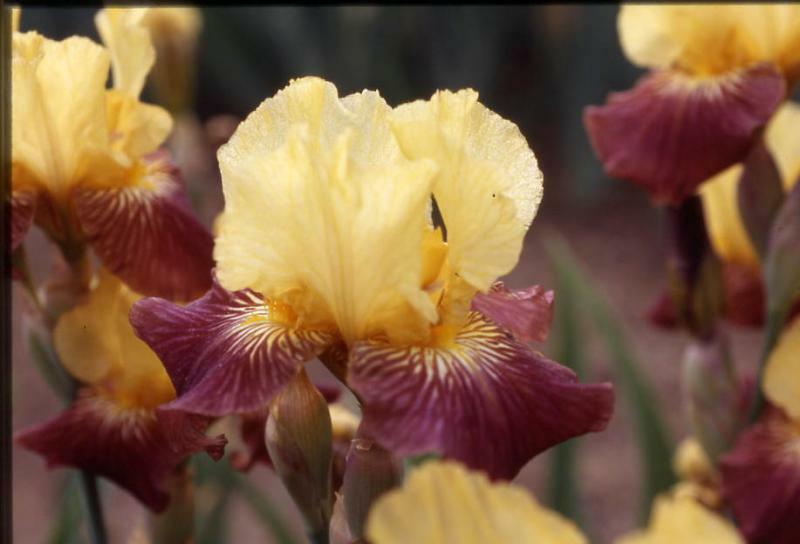 There are also some that rebloom and they are listed in all capital letters.